TV Witches, Please Stop Slicing Your Palms Open for Blood MagicForget about spell-casting. How do you even treat a wound like that? 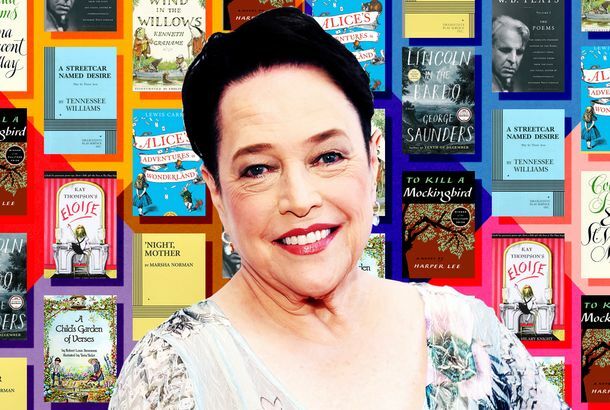 If You Like American Horror Story: Apocalypse, Try These 5 Dystopia MoviesDon’t prep for civilization’s final days without sunscreen and a scarf. American Horror Story Recap: The Crossover Event of the CenturySarah Paulson makes her directing debut in a standout episode that returns to where the series began. 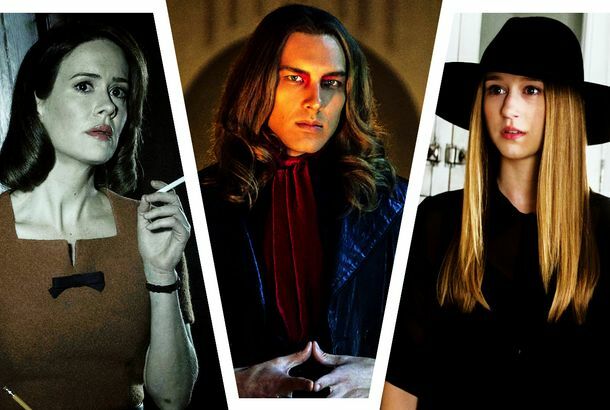 American Horror Story: Apocalypse Recap: No Whimpers, All BangsIt’s the end of the world as we know it and there’s a lot of strange happenings among those chosen to survive as a new season kicks off. Connie Britton and Dylan McDermott Will Return for AHS: ApocalypseWelcome home. American Horror Story Renewed for Tenth Season of Unsettling NightmaresYou’ll never sleep again! 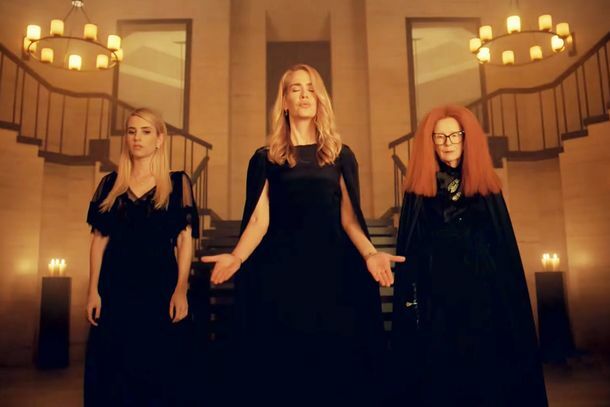 AHS Season 8 Will Stage a Big, Spooky Murder House–Coven CrossoverWitches and ghosts, oh my! 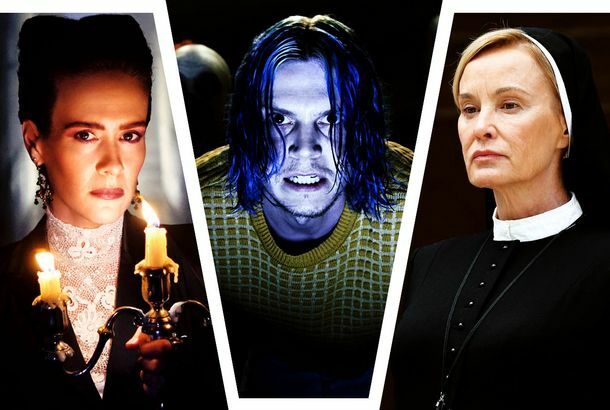 AHS Season 8 Will Take Place 18 Months in the Future – Spooky!Sarah Paulson, Evan Peters, Billy Eichner, Cheyenne Jackson, Adina Porter, and Leslie Grossman will all be back. American Horror Story: Cult Was a Missed OpportunityIt was a bold idea, but AHS: Cult didn’t tell us anything substantive about the Trump era. American Horror Story: Cult Season-Finale Recap: Electoral Collage“Great Again” is less of a fright-fest than it is a fantasy. American Horror Story: Cult Recap: Winter Is ComingHow will this inventive and insightful season end? The 20 Grisliest Death Scenes in American Horror StoryYou’ve been warned. American Horror Story Recap: Kool-Aid and the GangWhy make Evan Peters dress up in bad wigs and a fat suit? American Horror Story: Cult Recap: The Gays of Our LivesThere’s a lot of great, cutting Trump satire in this episode. American Horror Story: Cult Recap: Scum of the EarthLena Dunham guest-stars as would-be Andy Warhol assassin Valerie Solanas. American Horror Story: Cult Recap: Beautiful MeadowAHS has never been more ambitious. American Horror Story: Cult Recap: Nailed It!This is a gruesome, frightening, and downright unnerving episode.